Earlier this evening (on the 27th of December to be exact), a group of forty-nine fading students and four faculty or administrator leaders, who might have been even more tired, gathered together for their first meal as a group after about 30+ hours of traveling from Newark’s Liberty Airport to the southern Polish town, whose Slavonic trading importance dates back to the 10th century. What has become an annual faculty-led study abroad program has continued to grow in size and scope and this year, along with receiving 7 credits for their studies, this peregrinate group will visit the Ukraine, Hungary, Slovakia, and the Czech Republic, as well as the countries of Austria and Germany. Studying at the Polish School of Language and Culture, part of Jagiellonian University, students will be mentored and taught by internationally renown scholars in buildings that have stood since before the school’s founding in 1364. As the second oldest university in Central Europe, the university boasts such alumni as Nicolaus Copernicus and Karol Wojtyla, the former Archbishop of Krakow, who would become Pope John Paul II. While most of the tired group is hopefully getting a good night of sleep after a somewhat grueling first day and a half, I have awakened after a few hours of sleep. As I have been tasked with chronicling the group’s month-long experiences in a form of a blog, I decided to be productive if I was to be awake. Therefore, welcome to entry number one. Listening to students as we ate our dinner this evening, many of the somewhat “typish” comments or interrogatives were made. Managing the schedule of such a group, particularly when we are in two dorms 20 minutes apart, is no easy task, but Dr. Mykola Polyuha, associate professor of Language and Cultures, has this down to a science. As we dined, logistical information was provided. Four students with previous experience on the trip have returned to act as group leaders, and within a day I can say this decision to include these Four Musketeers, if you will, was a brilliant idea. I can see where camaraderie and group building is already happening and it will keep the entire experience more cohesive, more engaged, and ultimately, more comfortable. Those initial comments and questions about things like exchanging money or even something as simple as directions are no longer simple when you have little experience and every sign you see is in a language you do not understand. Even though we will have been in Krakow less than 24 hours, tomorrow will bring class orientation and getting ready for classes that begin this same day. Because of the compact schedule, some classes will be in session six days a week, but there are other requirements that include field trips and excursions to places like Schindler’s Factory, the Wieliczka Salt Mine, or before the end of the first week, the most notorious of the Nazi Death Camps, Auschwitz. 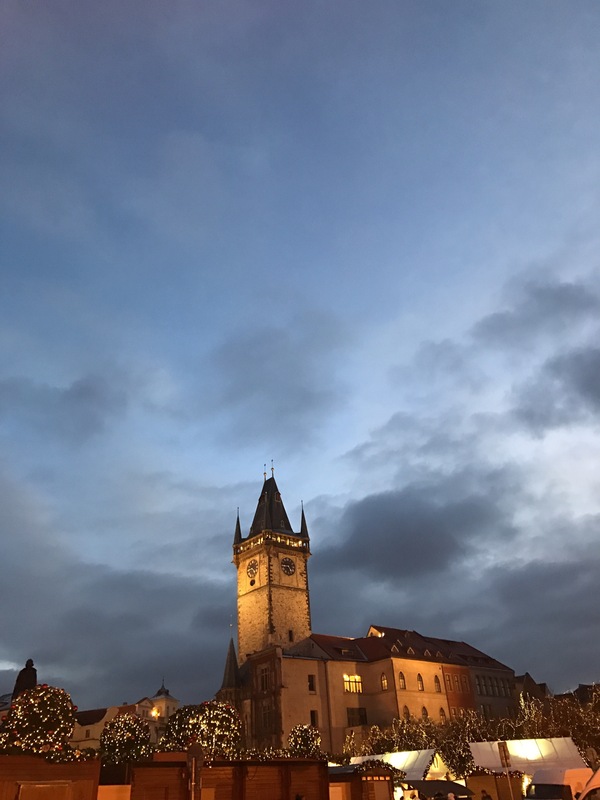 Each day is a day that can profoundly change the view of those who learn about the complexity of Eastern/Central Europe as well take an actual historical walk through their first-hand cultural lessons each day. When I think about my previous trips, what astounds me most is now much more I learn each visit back. Walking the streets of a town that has existed since the Middle Ages, realizing that many of the things I’ve read happened where I am stepping, and seeing and listening to sights and sounds provides an opportunity for many who have never been out of the country. What often happens is a beginning glimpse of just how connected we are even though we study or teach in Bloomsburg, Pennsylvania, the only town in the Commonwealth. One cannot help but be struck by how most of the streets and building in this city of over 1,000,000 pre-exist any inkling of a United States. This fall I was fortunate enough to find out that President Hanna, Bloomsburg’s new President, has intimate connections to Jagiellonian. His father has a rich history at this university. How fascinating it has been to have some of those conversations with him, but more importantly to share that common experience of a place far away. Perhaps the most important thing that might happen for a student is their eyes will be opened to some possibility or their mind will connect two points of learning that creates a new understanding of our increasingly complex world. Last year, just such an event occurred when, on one of our last days, I was fortunate enough to eat dinner with two of the Bloomsburg Bedouins. At dinner I asked what they believed to be their most important learning on the trip. One of the two responded (and I paraphrase), ” I realize there is so much to learn and there is so much more to the world than just our country. We are not as important as we would like to believe.” What a profound insight on the part of this thoughtful and reflective student-scholar. The first time I went to Europe, I was a sophomore in college. It changed my life. I understood in an acute manner that learning was so much more than memorizing and regurgitating. I wanted to be a sponge. That has never changed. For some of the 49 here now, that might just happen. In fact, I am sure it will. That first interim or Winter Class for me occurred in January of 1981. It still affects me. I do believe it is a foundational part of why I am a professor. For those who are doing the same thing this late December and early January some 37 years later, some will come face-to-face with the fact that this was so much more than a Winter Term faculty-led Study Abroad.